Dr. Gregory Tuke (left) started a family practice in 1983. Dr. Timothy Makatche (right) joined him in 1989. In 1991, the two formed Schuylkill Valley Family Practice and moved to the current location. Penn State Health and Schuylkill Valley Family Practice, P.C. 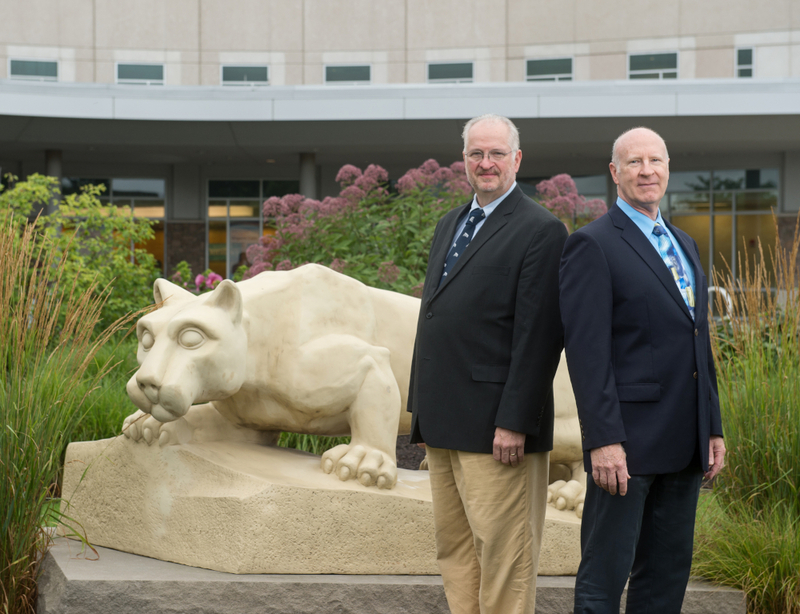 announced today they have reached an agreement for the primary care practice to join Penn State Health Medical Group. Together, they will continue a tradition of providing community-focused family medicine services to Berks and Schuylkill County residents. With all governance board approvals of the agreement terms in place, Schuylkill Valley is set to become part of the Medical Group this October. The practice&apos;s affiliation with Penn State Health gives patients enhanced access to a full spectrum of care close to home. Schuylkill Valley will continue to provide the compassionate primary care expertise its patients have come to expect, with the added reassurance of access to the local specialty expertise available at Penn State Health St. Joseph in Bern Twp. and advanced specialty care—including clinical trials—at Penn State Health Milton S. Hershey Medical Center in Hershey. Schuylkill Valley Family Practice has been a trusted health care provider in the Berks region since 1983, when Dr. Gregory Tuke started a family practice just across the street from the current practice location, at 5 S. Centre Avenue, Leesport. Dr. Timothy Makatche joined him in 1989, and in 1991, the two formed Schuylkill Valley Family Practice and moved to the current location. Schuylkill Valley provides comprehensive care to people in all stages of life and health, from infants to the elderly. They follow a philosophy of “protect all life,” which they have done for up to four generations of some local families. The practice&apos;s community connection and commitment to service is evidenced by a robust participation in employee health services, local church activities and medical missions. Schuylkill Valley patients can expect to benefit from the continued partnership with Penn State Health St. Joseph – Leesport right next door, where they can get easy access to lab and radiology services recommended by their family provider. The agreement between the two organizations—which takes effect on Oct. 1—means that the 13 Schuylkill Valley Family Medicine employees, including two physicians and one advanced practice clinician, will become Penn State Health employees. The practice will become Penn State Health Medical Group—Schuylkill Valley.